Event Studio's new digs are luxurious. Therefore, we love a store that does the same; one that allows us to indulge in our one-stop shop fantasies. Say you need to plan ne home decor theme and make invitations for your kid's birthday party. At Event Studio in Wicker Park, you can slay several birds with one rock. Plus, you can do it all within the confines of ES's intricately decorated decorating space. Their brand new digs wow immediately upon entering and the home accent pieces, velvet couches and a mounted flat screen that streams home design and food put walk-in designers in an inspirational mood. Further in you’ll find everything from traditional French décor to contemporary and eclectic pieces; think Fringe Studios glass vases, meticulously packaged fragrant soaps; MOR Cosmetics’ luxury body products, handmade specialty gifts and custom stationary. But that’s just the façade. Dig deeper to discover all the layers this place really has. 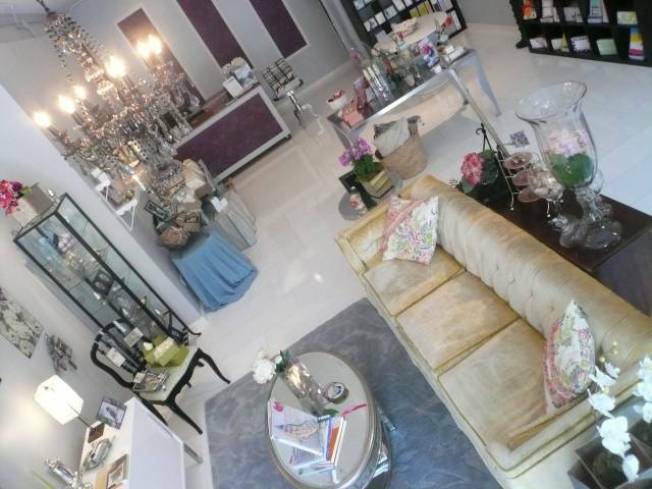 Stop in to peruse items for the home, and stay for their personal consulting services for your upcoming event. DIY project seminars will be conducted on a monthly basis. And, in case you just can’t get enough of this place (a likely scenario), the charming Event Studio space is available for hosting private, in-store events like bridal or baby showers, birthday parties and more. Event Studio is open Tuesday – Friday 11 am to 7 pm, Saturday 11 am to 6 pm, Sunday 12 pm to 5 pm, and Monday by appointment only. www.eventstudiochicago.com.